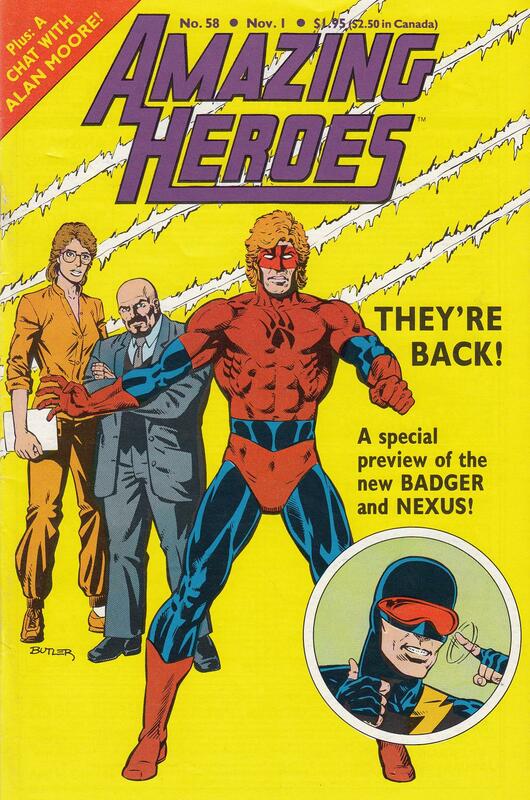 These pages from Amazing Heroes #58 recount the failure of Capital Comics and the subsequent rescue of Nexus and Badger by First Comics. 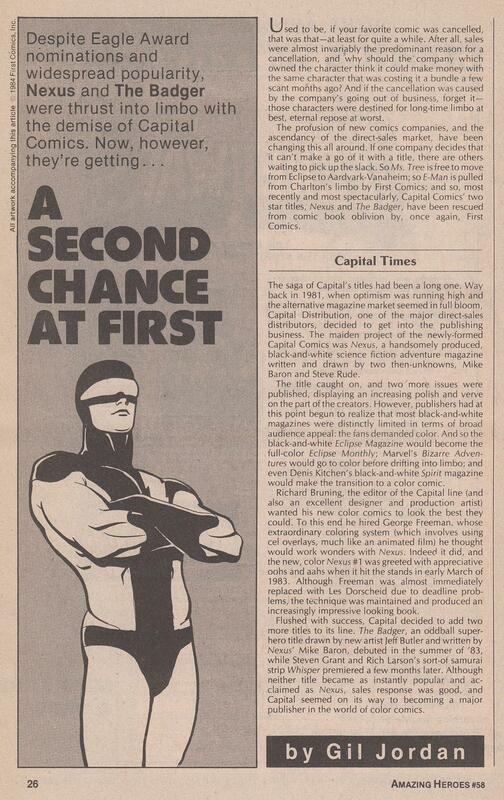 First would eventually have its own problems, but Nexus would survive to join the illustrious ranks of Dark Horse Comics. 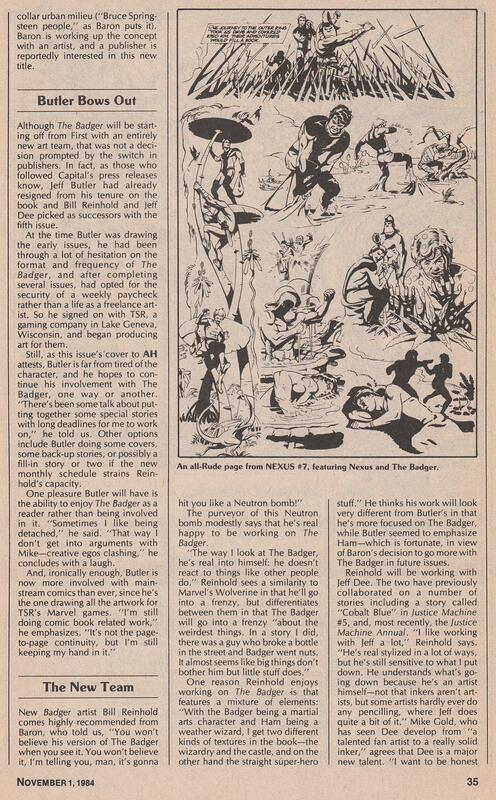 The stand-out treat of this article, aside from the poignant footnote in comics history, is Jeffrey Butler’s page of Badger and Ham the Weather Wizard surfing. 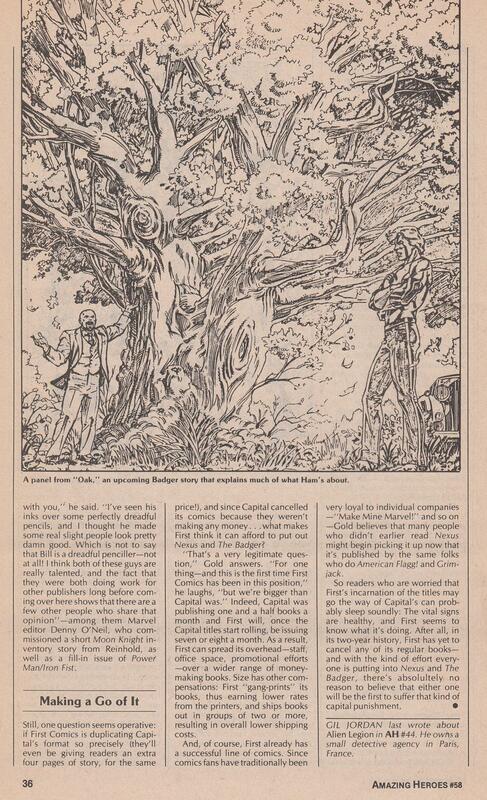 That masterpiece of madcap mayhem comes from an early Badger story where Ham summons a tidal wave to attack a corporation that wants to chop down his magical oak tree. He’s a druid, you see and… you know what? 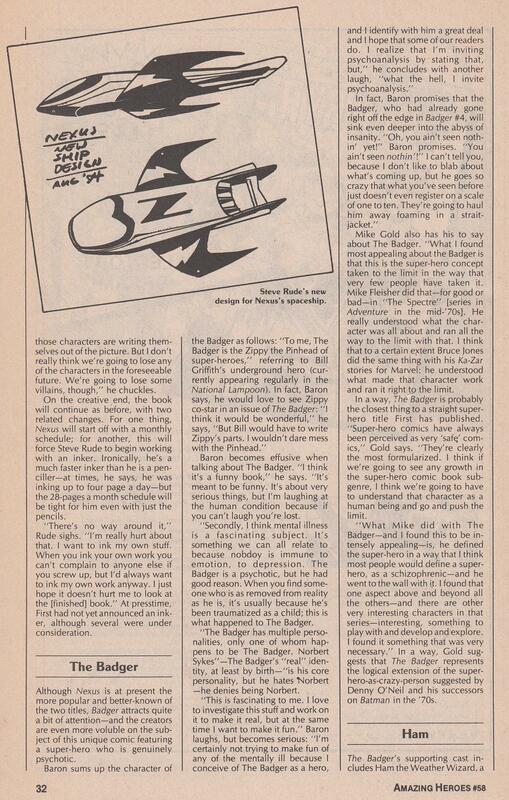 Trying to explain Badger to someone who hasn’t read it just makes you sound like you are speaking a foreign language. So let’s get down to it and rock today’s 80s flashback! 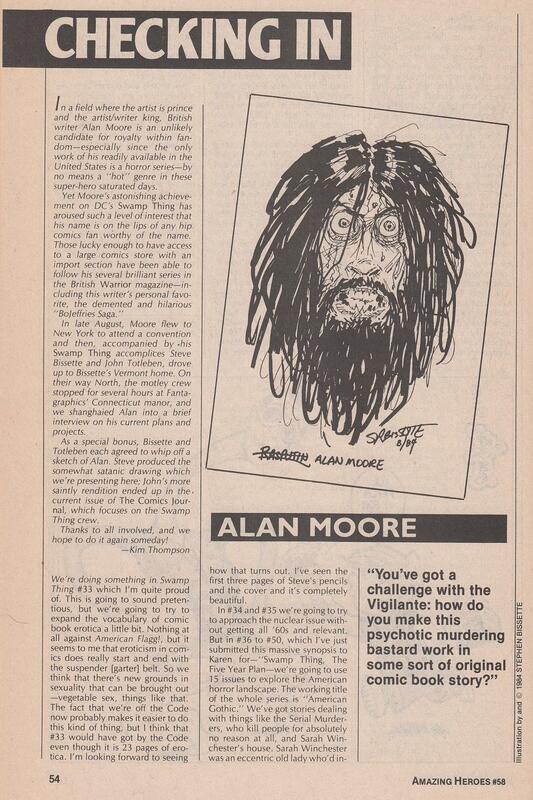 This 1984 interview with Alan Moore comes from Amazing Heroes #58. 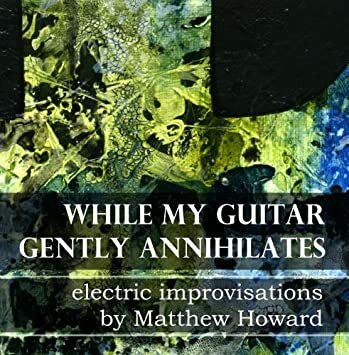 It features an introduction by Kim Thompson and a portrait of Moore by Steve Bissette. 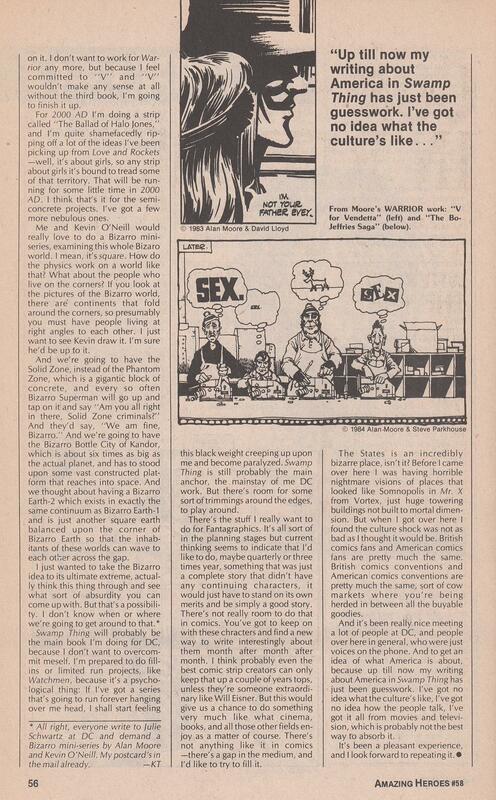 Jim Morrison had a few things to say in a 1970 interview about Robert Crumb, Zap Comix, and how they warped his view of the world. 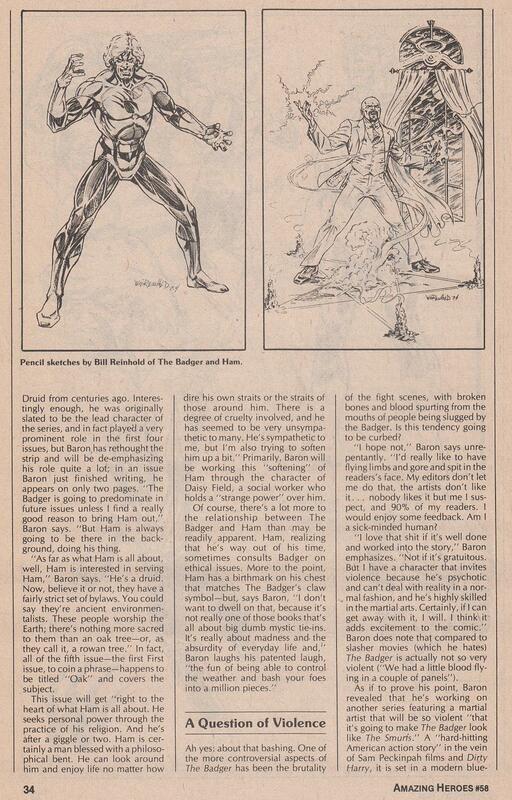 Jim Korkis provided this excerpt on his ‘potpourri’ page of Amazing Heroes. 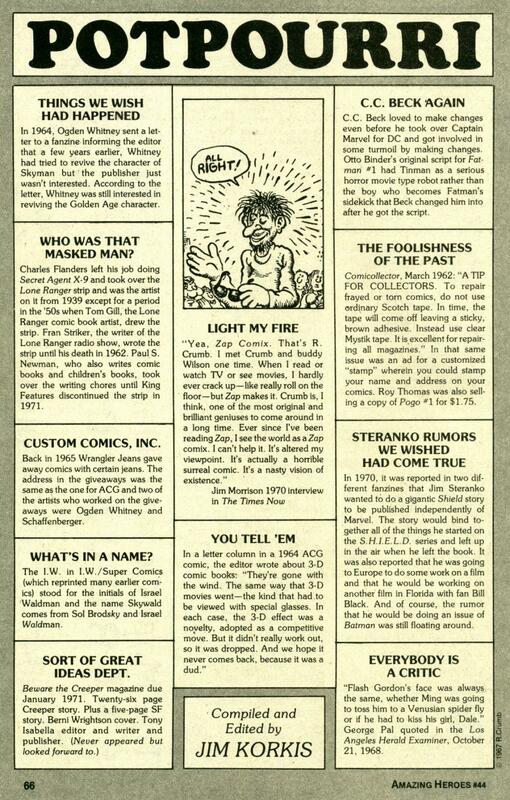 – from Amazing Heroes #44; Fantagraphics, 1984. 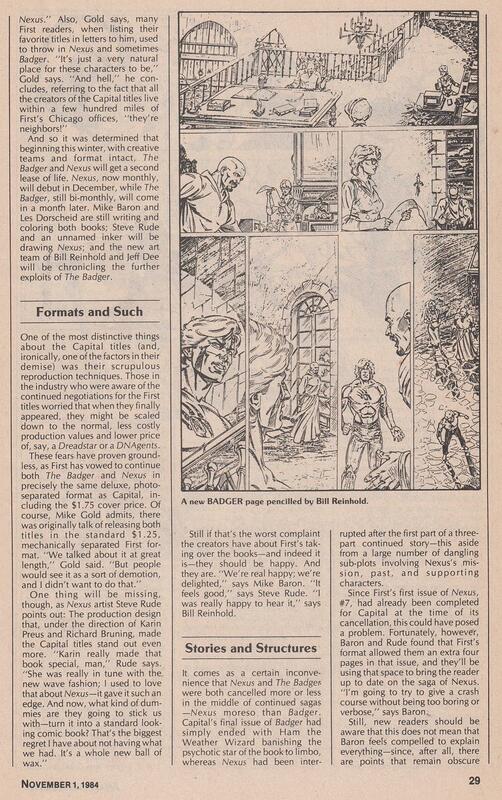 Below, the original page, as compiled and edited by Jim Korkis. 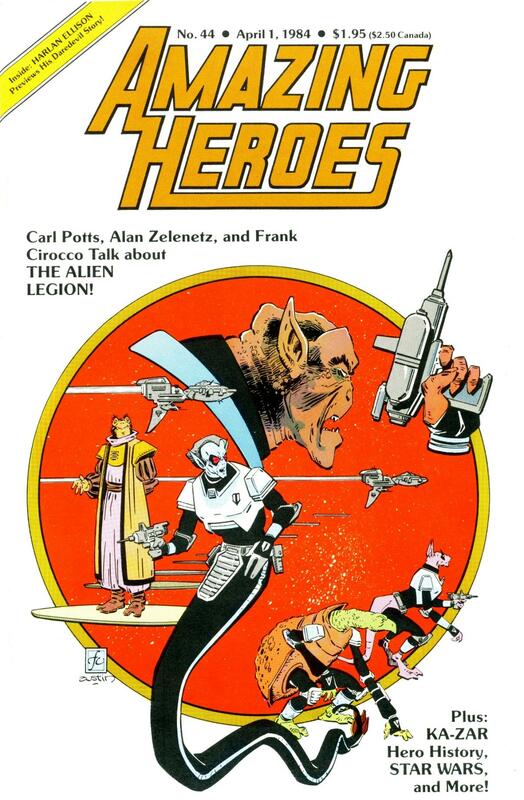 Issue #44 of Fantagraphics’ fanzine Amazing Heroes showcases one of our all-time favorite series: Alien Legion. 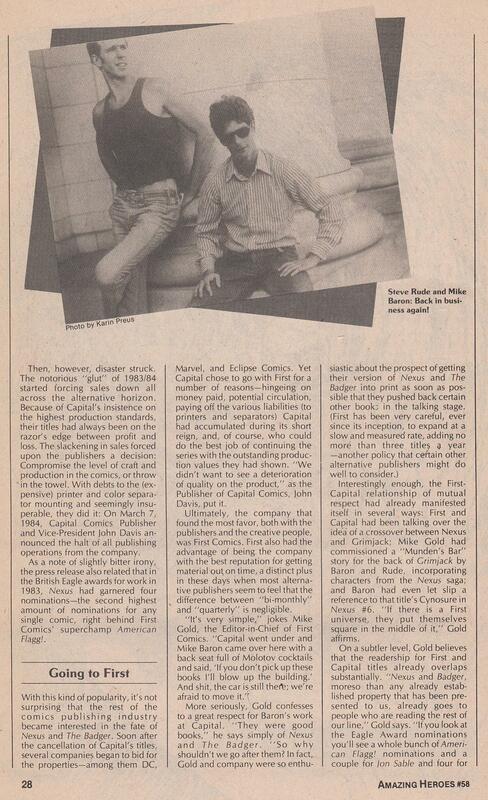 We scored it at our top-secret 50-cent rack, but you can easily find a copy for a couple bucks. 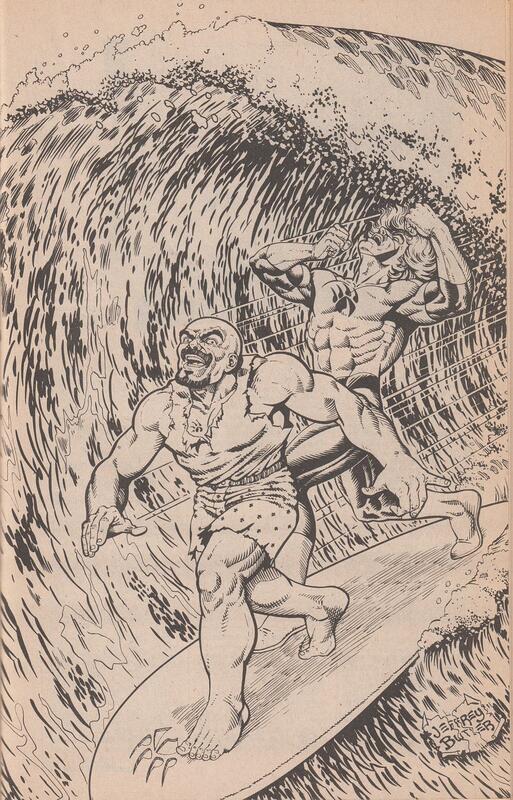 Its highlights of the creative team, along with some tasty pencils by Frank Cirocco, earn it a place in your Alien Legion collection. 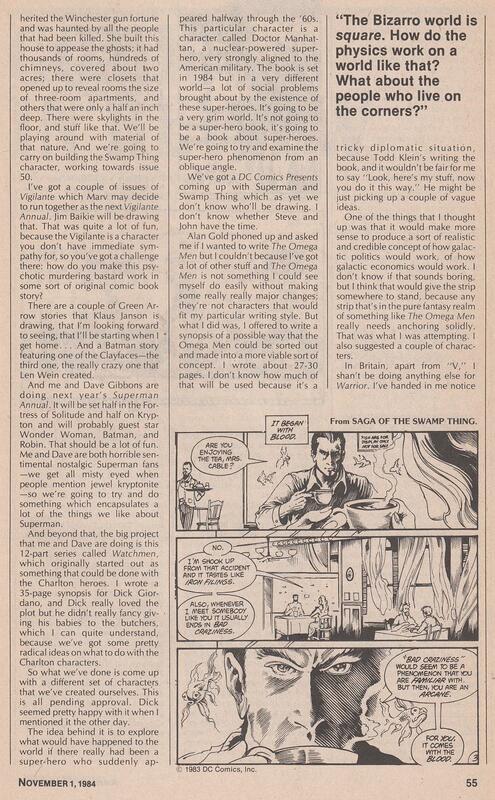 The creative backgrounds of Carl Potts (creator, plotter) and Alan Zelenetz (writer) make interesting reading. 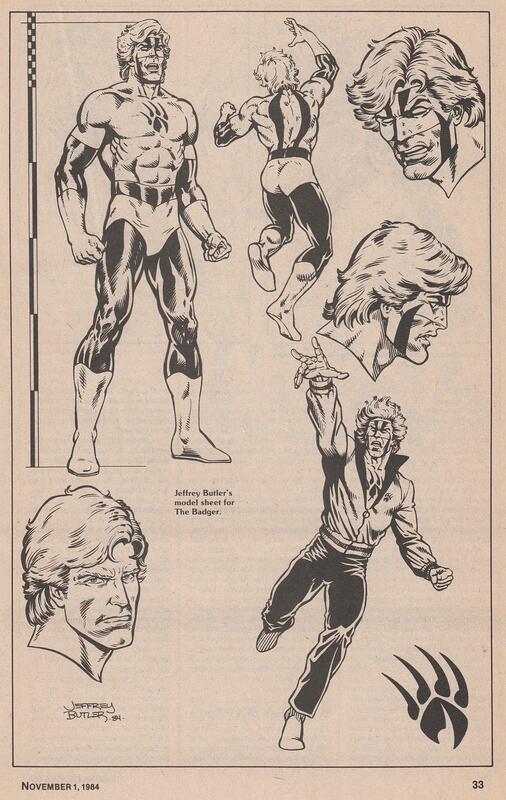 And, you get a good look into how the main characters of the series started out. Alien Legion deals with the evolution of the main characters: how they change in response to their missions and war. 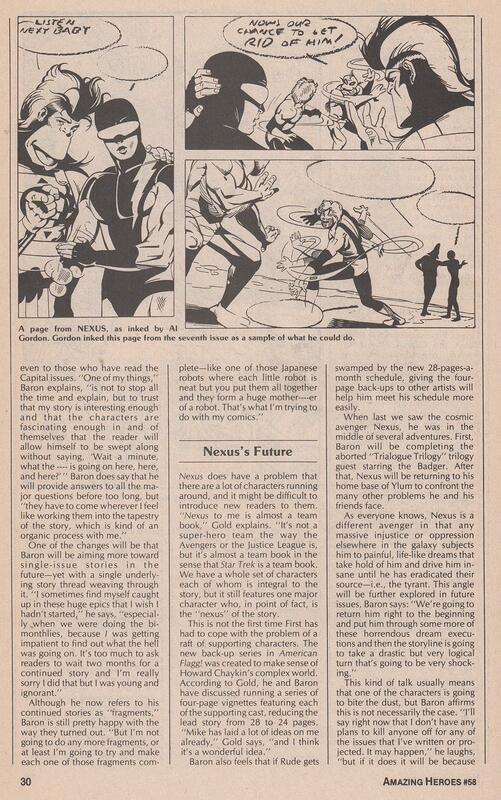 In retrospect, this article underscores just how much the characters develop throughout the series.